Are you looking for the perfect house full of entertainment for you, your family, and friends? We have the perfect house for you in the perfect location! This home has your name written all over it. Located at 1718 Lake Dr. in Gladewater, Texas, this house has many amenities to offer and is a great single family home. 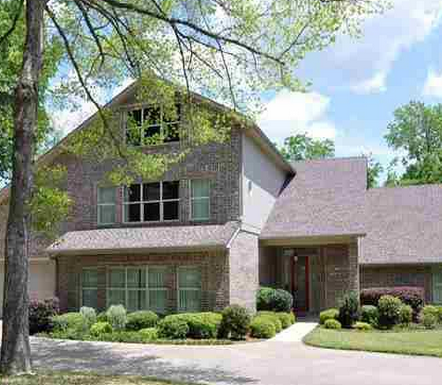 In the quiet neighborhood of Lake Gladewater and the county of Upshur located on the lake, this house is near local Gladewater Elementary, Middle, and High schools. The home has great view of the land and water with many beautiful trees and flowers. The 6,172 square foot home is located on 0.7 acres. Built in 2006 this home has six spacious bedrooms and 4 1/2 baths. The high ceilings in the family room give a more spacious look and with the wall-to-wall windows, you get the beautiful view of the lake. The kitchen has beautiful stone granite marble work on the counter and sink tops, with gorgeous white cabinets for all the storage you may need, lots of counter space, double stoves, and a walk in pantry so you can cook to your hearts delight in this amazing gourmet kitchen. With beautiful marble granite stone steps, leading up to the lovely formal dining area you can serve your amazing meals here. 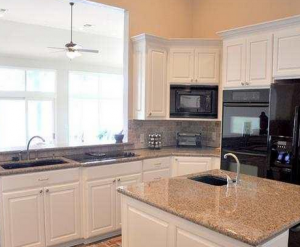 The breakfast bar offers more seating to you and your guests with granite counter tops. The large romantic master bedroom offers a sitting area with grand windows overlooking the lake and a spacious open floor plan. The master bathroom has his and her sinks, and a large tub and shower with a large amount of space for your romantic and relaxation desires. There are four great sized bedrooms for your guest to enjoy on the weekends, or your growing family to enjoy. There is a handy bathroom with a tub for your guests and family. The guest bath has a wood fixture sink and is gorgeous with a stand up shower. With three, handy guests bathrooms available. The sixth room could be used as a media room for other entertainment options or an office for your own personal space. Going outside the back of the home, you have a large spacious patio overlooking the lake. This would be great for entertainment and relaxation. Down from the house you have a boat dock leading into the lake great for fishing or sun bathing. You could have many years to enjoy, enjoying not only the home but also the lake and the view from the home. This home has so many amenities to offer to you and your family so bring your boats on down and check this wonderful home and land out.